Well, this is it, the final stretch: one more blog post tomorrow, and then NaBloPoMo will be finished. I have a feeling tomorrow will be mainly photos, so I think now is the time to reflect on this project a bit, as well as look ahead. This has been a very interesting project (experiment?) for me to try. I was mostly successful, missing only one day until the next morning, but every day is still accounted for. It has been more difficult than my 365 photography project was, which of course only required one photo per day and therefore I could fudge my effort on some days a bit. While I still had some photo days with NaBloPoMo, I still wrote more here than I wrote for my photography then, and sometimes it was a struggle to think of something good enough or have time to make the effort. This is precisely why I chose not to do NaNoWriMo, because I would never think of enough to write or have time to do so. And now to look ahead. I certainly will not be writing something here every day, but I will try to do so more often than I had been before this month (which means at least 4 times a month). It may not be regular, but I’ll certainly try, even if it’s just pictures I’ve taken that day. Thank you to everyone who has read my posts thus far, and have decided they were good enough to “Like” and to follow my blog. This reception has been nothing but encouraging, and I’m grateful. If anyone has any suggestions for future blog posts, or even has any questions, please don’t hesitate to ask, or even just comment on any of my posts. Thank you all so much for liking what I write—an extension of myself— and therefore liking a part of me in the process. You may remember I said less than a week ago, after the hurricane, that I was feeling very unsettled with all the uncertainty and lack of routine that I had as a result of the storm. After having class yesterday, this became better because I started to have my usual routine again. I also received my new SLR and Kindle in the mail yesterday, which I wrote about already, but that of course made things a lot better as well. Today I went home and voted, and though I’m not going to talk about voting here because I’m not one to talk about politics (although it’s really stressing me out—four years is a short time but also a very long time), I think going home definitely helped me with my feeling of uneasiness. I was able to have some true Introvert Alone Time, go to the most familiar place there is (my house), and visit my two favorite teachers from high school and talk with them. They were the closest I had to mentors in high school, because they both taught me in some capacity all through my four years, so they made the most impact on my high school self. I didn’t realize it this afternoon, but after I talked with them both I felt a lot better about everything, and now I definitely feel like everything is back to normal. NaBloPoMo 1: Apparently I’m going to do this. Okay, so every year I think about doing NaNoWriMo but I’m so busy with classes (November is such a bad time for this!) I just can’t do it. I’m even signed up and I get emails all the time. 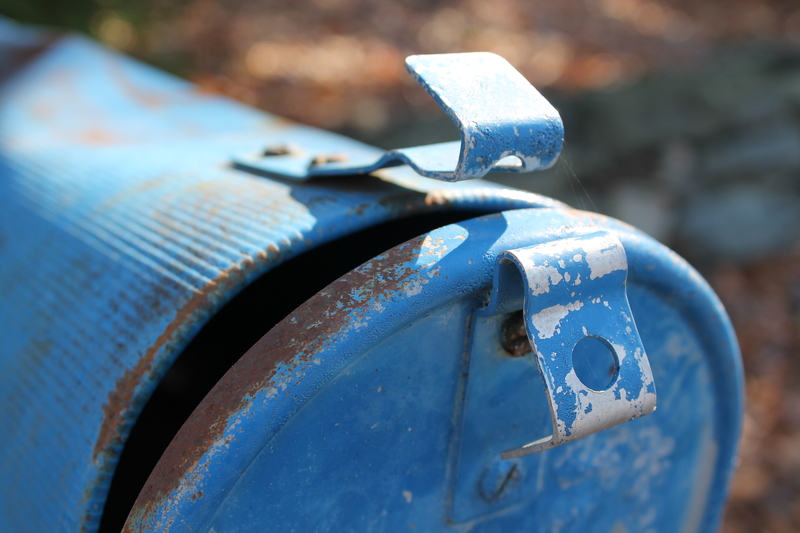 But today I received an email from the WordPress gods, saying “NaBloPoMo is here!” to which I became very excited, because I could conceivably write this much every day. Therefore, I am going to do my best to attempt NaBloPoMo. I’ll still read the emails from NaNoWriMo and get ideas and prompts, and who knows, maybe this blog will be fully up and running for the first time. However, don’t expect this to continue on a daily basis after November, because let’s be honest, that probably won’t continue to happen. But hopefully this will get me to blog more often than not! And so now this concludes my first blog post. It’s really long, huh? Yeah. Blog one: done. 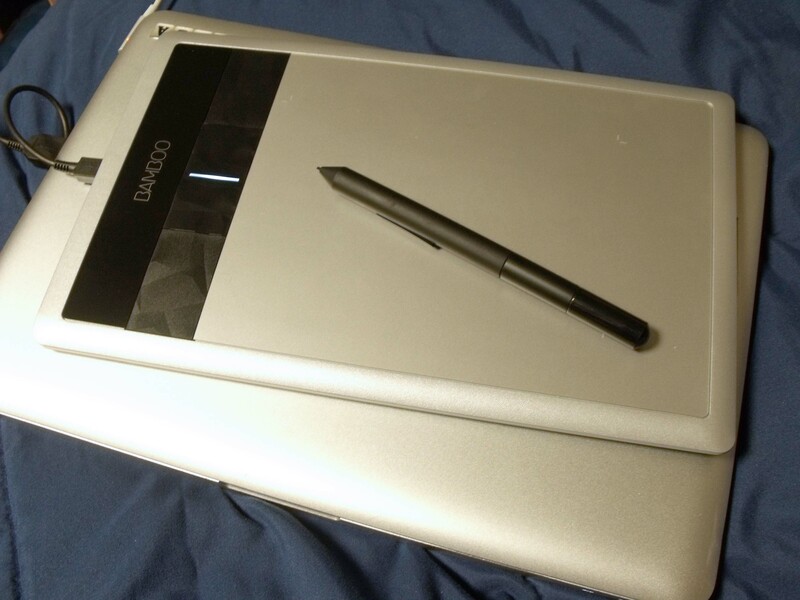 I have a Wacom Bamboo tablet, which I find very useful for Adobe Illustrator. For so long, I have been trying to find a way to write on pdfs so I can write notes for classes and not have to print pages, because that’s annoying and a waste of paper. So, of course I want to use my wonderful tablet. I finally found formulatepro, which is for Mac (sorry Windows users!). 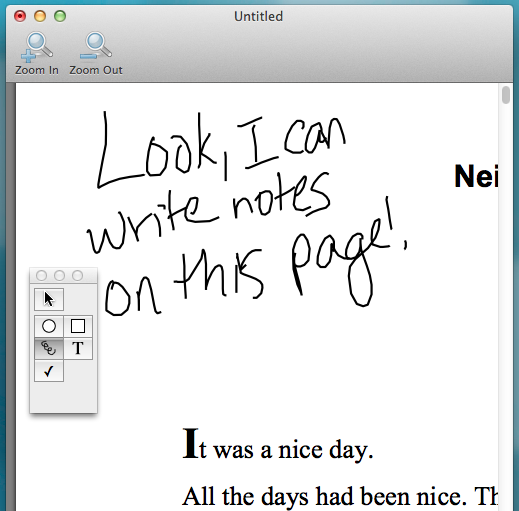 It allows you to write, draw, and type on pdfs. The only downside is you have to open it in this application until you decide you are finished editing, and then you can save it as a pdf with everything all finished. I find this very useful, and it all makes sense to use, so I’m happy with it. And if you have a locked document that your computer won’t let you print or edit, you can also open it in formulatepro and resave it. Therefore if you have a Mac and a pen tablet, you will probably find this useful. Additionally, I also learned that Inkwell (usually referred to as Ink) is a thing that exists, which allows you to handwrite anything in any place that can be typed. When you plug in your tablet, just go to System Preferences and enable the application (it will only show up when the tablet is plugged in). So far I haven’t used it a whole lot, and it doesn’t always get the letters right. I’m not sure how to get the computer to “learn” my handwriting yet, because the only way I can fix what’s been written is to delete it and try again, but it’s a start and most of the time only some letters are jumbled and therefore I can still tell what I meant to write, which means later I need to go back and fix it by typing. Have you found any other helpful applications for tablets for the Mac? Let me know in the comments!